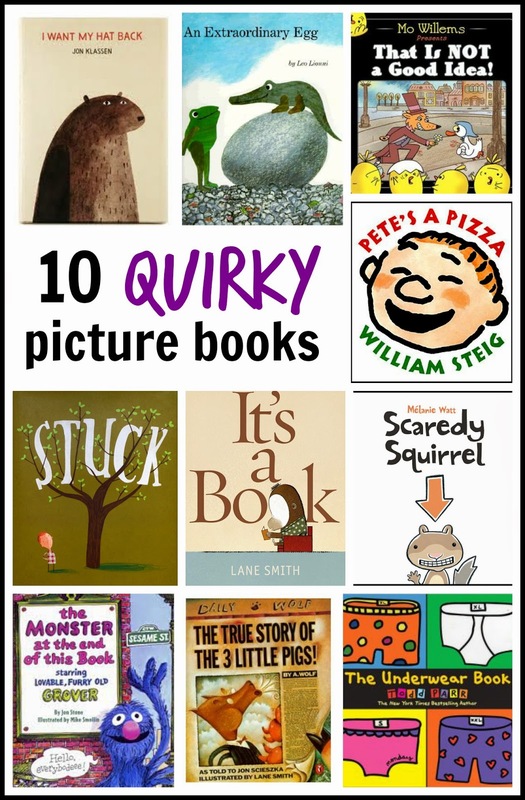 A list of 10 picture books. They said it would be hard. [kwur-kee] Show Iadjective, quirk·i·er, quirk·i·est. 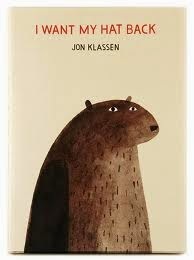 Ten picture books that include an unexpected twist that is strange, not normal, but very cool. 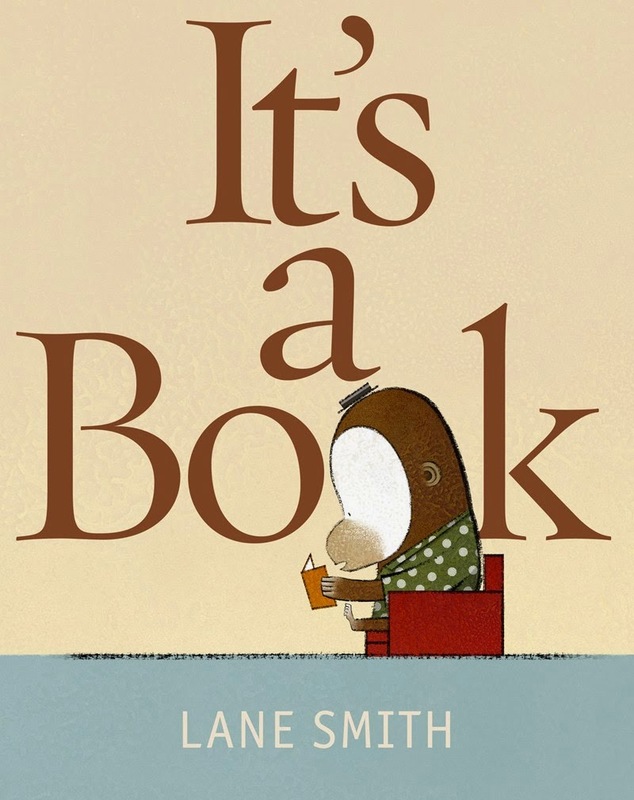 Ten picture books that tickle and stretch the brain. Bear has misplaced his pointy red hat. He asks is forest neighbours if they have seen his hat. 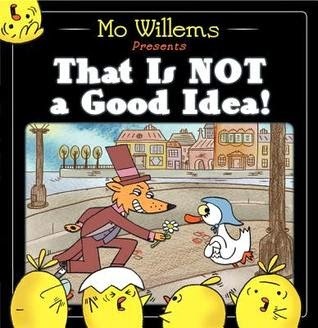 Each denies it, including a rabbit who happens to be wearing a pointy red hat. While bear relegates himself to a hatless life, he realizes that the rabbits protestations that “I haven’t seen it. I haven’t seen any hats anywhere. I would not steal a hat. Don’t ask me any more questions.” somehow ring false. I don't think rabbit will be stealing any more hats. 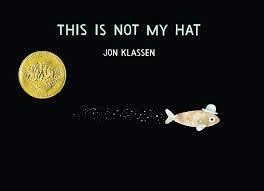 Will the little fish get away with stealing a hat that does not really fit a big sleeping fish? Will he escape into the seaweed where bigger fish cannot swim? Hmmm ... things did not go so well for a thieving rabbit. Will they go any better for a light finned fish? Three frogs live happily on Pebble Island. One day, Jessica, who was always off exploring somewhere, returned home with a lovely, smooth, round, white pebble. August, who knew things about things, pronounced that it was a chicken egg. So when a small green scaly creature crawls out of the egg and calls in it's raspy voice for water, they all call him a chicken. Funnily, when the chicken is reunited with its mother, she does not call him a chicken. Foolish mama! The poor big bad wolf really isn't big and bad at all. He is actually a loving grandson named Al (short for Alexander) who sadly ran out of sugar while trying to bake his Gran a birthday cake. 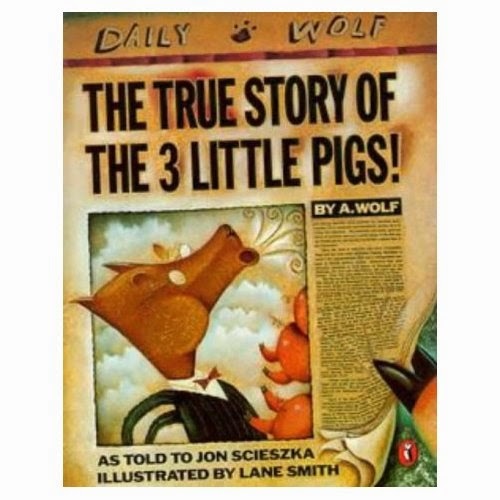 If a wolf sneezes while trying to borrow sugar from his neighbour pigs, inadvertently blows their houses down, and finds pork suppers sitting a waiting for him amid the ruins, it's really not his fault that he does not like to waste good food. It's really all about a cake, a cup of sugar, and a nasal infection. A reasonably conclusive set of advice on appropriate underwear use. 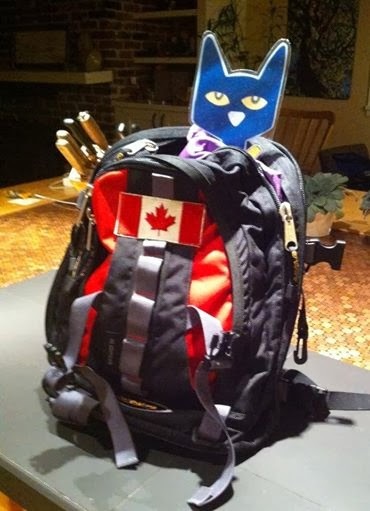 While it is good to wear underwear on the first day of school (and every day after that - and have a spare pair with your extra clothes), please do not bring any for show and tell. Don't wear it on your head, don't put it in the freezer - lot's of good advice. And a fun app. A rainy day is ruining Pete's plans to play outside with his friends. What's a concerned and caring parent to do? 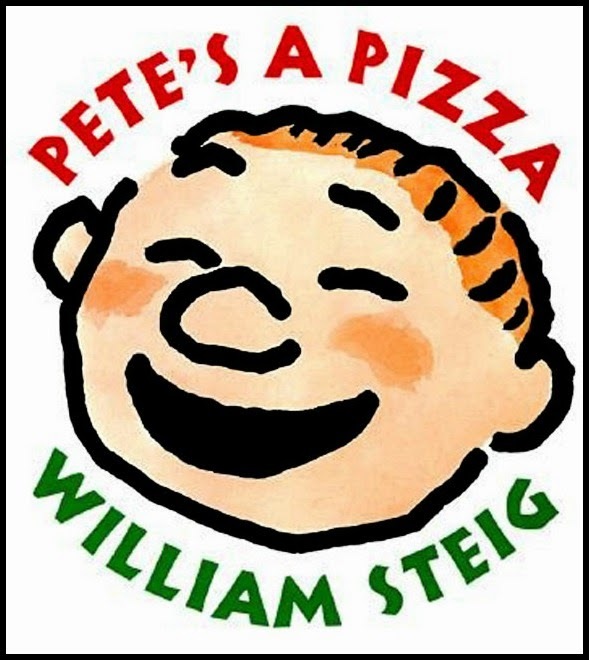 Pete's parents turn him into a pizza - knead the dough, tomato sauce, sprinkle on cheese. Problem is, this pizza keeps giggling, and we know that pizza is not supposed to giggle. 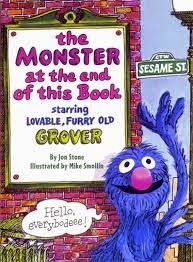 Loveable, furry old Grover has heard that there is a monster at the end of the book. He really really knows that he does not want to meet this monster. So he does everything monsterly possible to prevent the reader from getting to the end of the book. He ties the pages together, he nails the pages together, he even builds a brick wall to keep the pages from being turned. Poor old Grover. Scaredy has got life figured out. 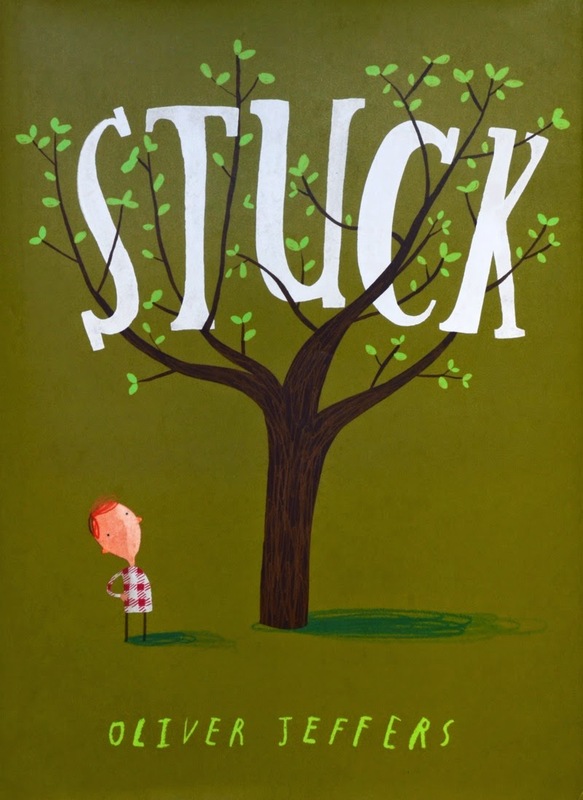 Stay in your tree, make life predictable, stay away from killer bees, make lists, make maps, be prepared for all eventualities, and when all else fails, play dead. Sometimes life throws a rodent into the Unknown, and all those lists, all those plans, diagrams, and even the first aid kit are no help at all. What's a rodent to do? Ah, yes - when all else fails, play dead. A hungry fox just happens upon a mama goose walking down the street, and invites her home for supper. Despite an increasing agitated gosling chorus preaching that this is "not a good idea", the fox and the goose walk through the woods, into the kitchen and even lift the lid of the soup pot. An important ingredient is missing from the soup. Luckily the wee goslings eat well that night. Monkey sits and enjoys reading a book. A book - words, pages, no wifi, no tweeting, no charging, no blogging - something that Donkey does not quite understand. And Donkey gets a bit irritating. Monkey uses a word that I cannot read at school, but which made me howl with laughter. So, I will enjoy this book at home. 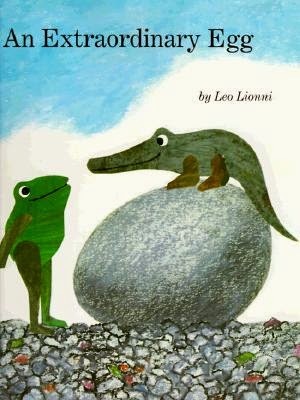 My kids laugh and laugh when the frogs call the alligator a chicken too. And then I start laughing because they are so funny! Great list! I am definitely going looking for THE UNDERWEAR BOOK! The Underwear Book is pretty funny. Todd Parr has a new one called Animals in Underwear ABC. My kids enjoys its' absurdity too. What a great round! 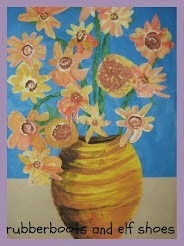 It is filled with favorites! I love that books can feel like old friends. I love your list! I would probably have to include Animals Should Definitely Not wear Clothing! I love quirky!! Ooooh. That's a good quirky book choice. Animals Should Definitely Not Wear Clothing definitely tickles the brain. What a fun list! Every time I see "The Monster at the End of This Book" I smile. It was my son's favorite. I must have read it a million times. There are a couple of quirky titles that are new to me I look forward to checking out: Pete's a Pizza & An Extraordinary Egg. 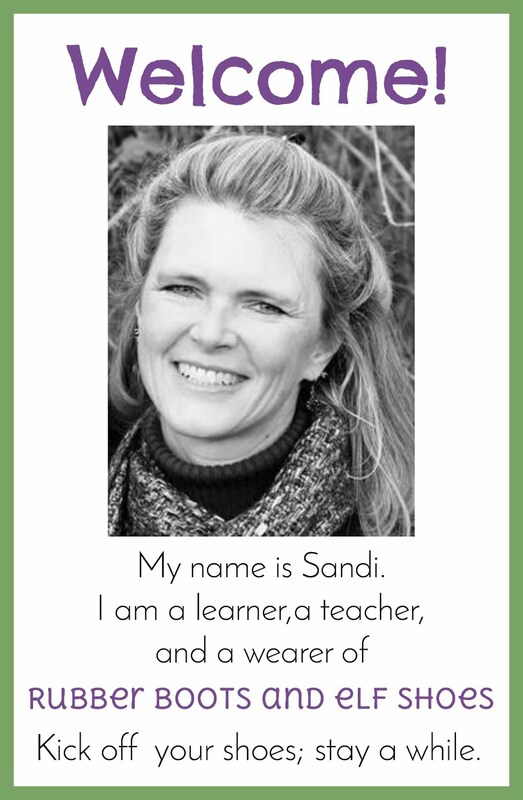 I might add Tacky the Penguin to your list…and maybe My Pet Book. The first Tacky book, Tacky the Penguin qualifies as quirky. I will have to check out My Pet Book - I don't know that one. Thanks.